In case his books and the movies based on them didn’t do enough to immerse you in his world, there will soon be a Dr. Seuss museum opening. Who’s making plans to go …(I mean besides me)? Recap: As a young girl in Williamsburg, Brooklyn, the life of an Orthodox Hasidic Jew is the only one Deborah Feldman knows. She’s raised by her Bubby and Zeidy (Yiddish for Grandma and Grandpa) since mother left the Orthodox lifestyle — and was thereafter banished from it — and since her father was considered incapable of raising a child alone. As an Orthodox child, Debra dresses in long skirts, is mostly kept separate from boys and eats strictly kosher food. But she also spends time sneaking classic novels written by American authors into her bedroom and reading them, practicing English more than Hebrew and Yiddish, and dreaming of a life away from the Orthodox. It’s all this, a molestation and the pride of telling a good lie that set her on a path away from Orthodox Judaism. As she gets older and prepares for marriage at the ripe, young age of 17, she finally learns about her body — all of its “holes” and all of its abilities. She comes to have sexual problems — both physically and emotionally — with her equally-as-young husband. Eventually they consummate their marriage and produce a son. I say “produce” because that’s very much what it feels like to Debra — a person that is produced, not one who is born out of love. Her desire to leave remains. But the question is how. And if Debra does manage to get out unscathed, what will it mean for her son? (Orthodox children usually remain within the Orthodox sect, even if their mothers or fathers leave.) It seems an impossible feat, but for Debra, so does staying Orthodox. Analysis: Unorthodox is eye-opening. It’s hard to believe these ancient beliefs remain and are carried out in this day and age and modern world. 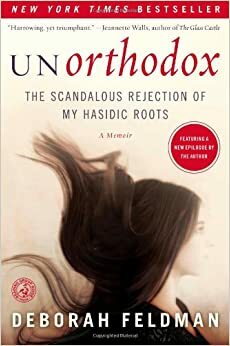 Learning about the world of Orthodox Judaism is fascinating, and with her descriptions, it’s darker and more limiting than one might think. The fact that she made it out unscathed and with her young son in tow is incredible. But here’s the issue — the one glaring issue — with the book. As much as Feldman explains why she no longer wants to lead an Orthodox life is as little detailed as she gets about how she went about doing it. She makes it clear that a few friends helped, and what she did to get her first lump sum of cash. But where did she live when her family disowned her? How did she make enough money to land an apartment in New York City on her own? What kind of struggle did she endure when she finally got out? 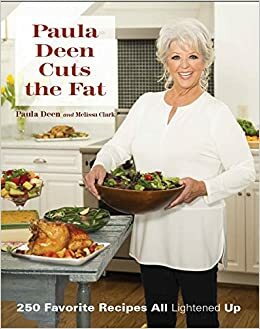 The story was amazing until the end, when so much was left out. Maybe it was too personal for her to write about, but for me, that struggle was what I most looked forward to, and I never quite got it. Get Unorthodox in paperback for $12.02.